Having a Baby Red Eared Slider is Exciting! If you are in the process of learning how to care for your red ear slider hatchling, you are probably already enthralled by the cute wonder of your new tiny pet. But as cute as baby turtles are, they are also more fragile than an adult turtle ever will be. This means your job as a pet parent will be a bit more challenging than it would be if you had an adult turtle – at least for the first 12 months as your hatchling turtle starts to grow up. This post can serve as a handy resource for baby red ear slider turtle care as you start to learn the ropes of caring for a baby turtle. There Are Two Main Challenges in Caring For a Hatchling. shell is one of the challenges. Your hatchling turtle’s new shell is still a bit soft, as it was designed to be for hatching. So now your turtle needs access to precise levels of full spectrum UV-A/B lighting plus an appropriate natural protein-rich diet in order for its shell to begin hardening as it should. system concerns are the other. Your hatchling turtle’s immune system is still forming and so your baby turtle is more susceptible to a full range of potential health risks than an adult would be. Just like parents with a human baby, you want to be cognizant of your hatchlings developing immune system. 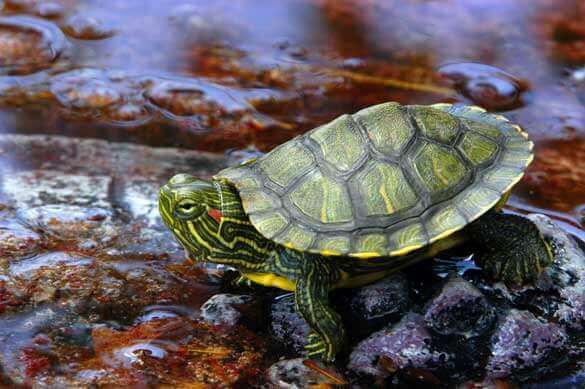 One of your biggest responsibilities in providing the right type of red eared slider turtle care for a hatchling turtle is offering the right mix of foods in the right quantities. The first thing to know is that, even as a baby, your turtle will likely want to do just about everything (feeding, hiding, excreting) in water. 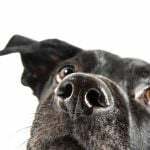 So you will want to offer feedings in water. However, to avoid having to clean out the water in your turtle’s tank even more frequently, you can use a second smaller tub of water to do your feedings. Just remove your turtle from its main tank and place it in the smaller feeding tank for meals. Sprinkle the food to be offered that day on top of the water. Offer the food for 15 minutes and let your turtle eat at will. After that time period has ended, remove your turtle and put it back in its main aquarium. Do not worry if your baby turtle does not seem to want to try the vegetation portion of its meals at first. This will change as your turtle gets older. turtle is able to bite and swallow the food). They might look gross to you, but mealworms will make your turtle smile. The folks at Gimminy Crickets & Worms sell 1100 Count Live Mealworms that are organically grown on Amazon. Their worms are around an inch to an inch and a quarter long. If you want to keep it really exciting, you don’t have to go with dried mealworms, these guys can get your mealworms to you live! If you decide to order live mealworms, you’ll want to make sure and let the company know if you’re in a cold climate and they have a heat pack they will include. On the flip side, if you’re not in a cold climate, they pack the mealworms loosely so they don’t overheat each other from friction and too much contact. This prevents them from overheating and dying. Your baby slider will definitely enjoy following the natural instinct of going after live worms. Equally as appetizing as mealworms are wax worms. They’re also useful if you want to host a Fear Factor competition at your house. Wax worms come with instructions on how to preserve them and are a common food used for all sorts of other small animals like chickens and birds. Some people even use them for fishing. 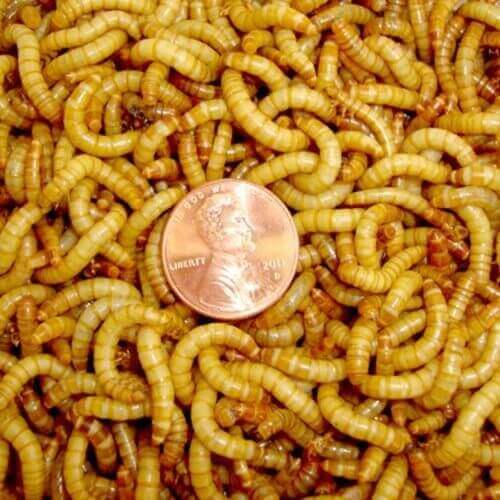 Like the mealworms, wax worms can be sent to you via standard shipping. 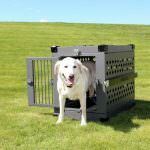 You can find out more about this on Amazon. When you want to have wax turtles on hand for your baby red eared slider, you’ll want to store them somewhere between 55 and 60 degrees. 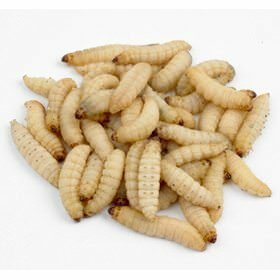 If stored properly, wax worms will become dormant. 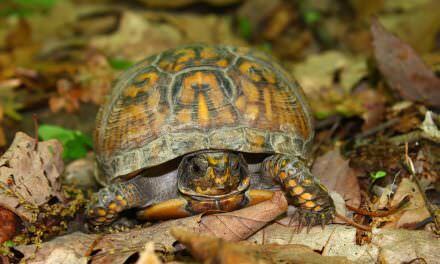 They are great food for your turtle because they have a high fat content. Getting away from worms a little, Daphnia is another good food choice for turtles. Daphnia is actually a water flea that is only 1-5 millimeters in length. The thought of these guys can make your spine tingle a little bit. They’re actually a crustacean and they move about through short, burst like hops. 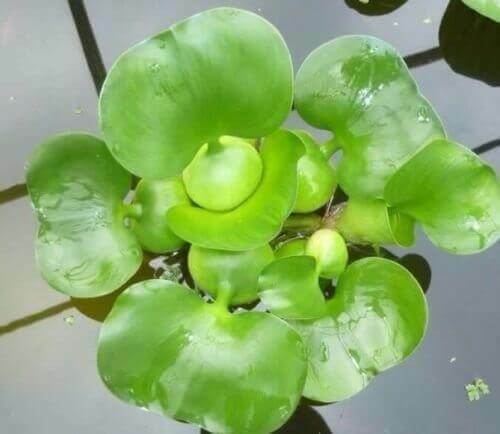 They’re found in water world-wide and are a natural food for fish and shrimp. They’re a great source of protein for your red eared slider. The protein content of Daphnia is about 50% of their dry weight. They are known to be a very important part of the food chain as they also provide Omega 3 Fatty Acids to fish which, as most people know, are incredibly important in diets across almost all species. 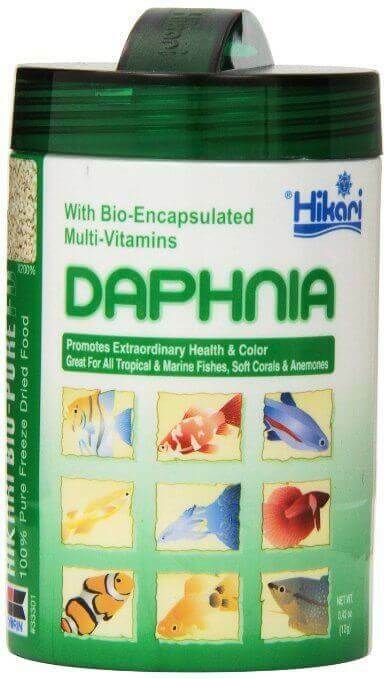 The Hikari Bio-Pure Freeze Dried Daphnia are charged with nitrogen before they seal it, which helps get the food in front of your turtle with as little oxidation as possible. 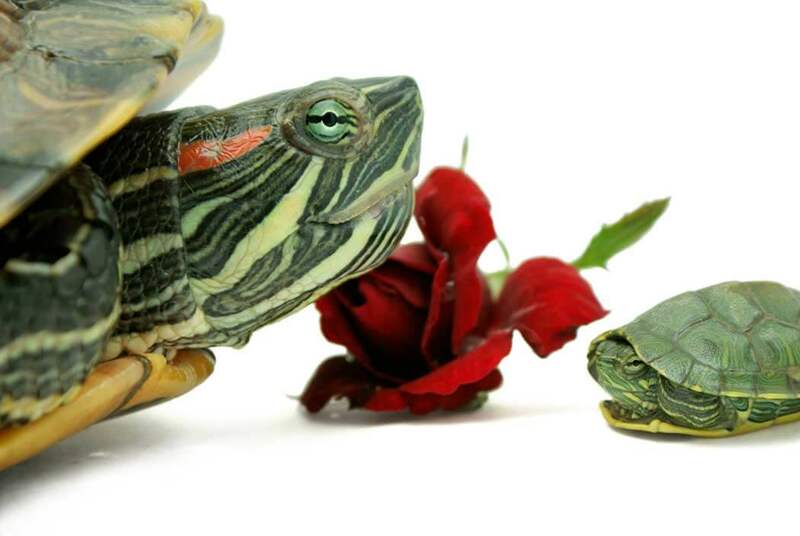 Want Your Red Eared Slider To Be A Vegetarian? 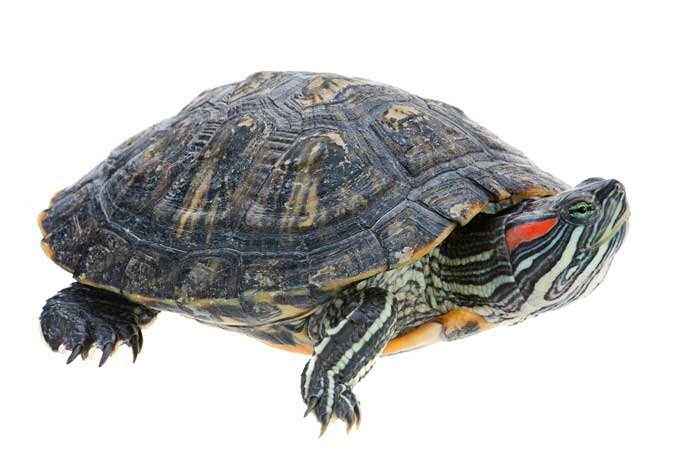 As you are learning the ropes of baby red eared slider care, there are three main ways to ensure your tiny charge gets all of the vitamins and minerals required for optimal health and shell growth. Provide a full spectrum UV-A/B bulb for basking. Here, be sure to change the bulb every six months. This will give your turtle the ability to absorb calcium fully to grow a strong, hard adult shell. Dust your baby’s food with supplements. Use a calcium with D3 powder and a non-D3 aquatic turtle multi-vitamin/mineral supplement. Dust your baby turtle’s food with both powders before serving. Also offer a floating calcium block that your baby turtle can chew on as needed. Use only spring or filtered water or conditioned tap water for the aquarium. Never use distilled water, since this type of water has had ALL minerals removed, including the ones your turtle needs to take in. Because your baby turtle’s shell will be weaker than an adult’s of the same species, it may be more apt to sustain an injury while climbing up or down off its basking ramp or enjoying play time outdoors. This is important to watch for because shell rot is a common health concern for hatchlings in particular. Shell rot can begin from even the tiniest shell abrasion, and will cause further softening of the shell and more health challenges as it spreads. Also, your baby turtle will be more vulnerable to toxins, poisons or pesticides from food sources and bacterial build-up from unclean tank water. As part of red ear slider turtle care for babies, you must be especially vigilant in watching for any signs of a developing respiratory illness, shell rot and bacterial or parasite infestation (loose stools, apathetic behavior and lack of appetite are all potential indicators). 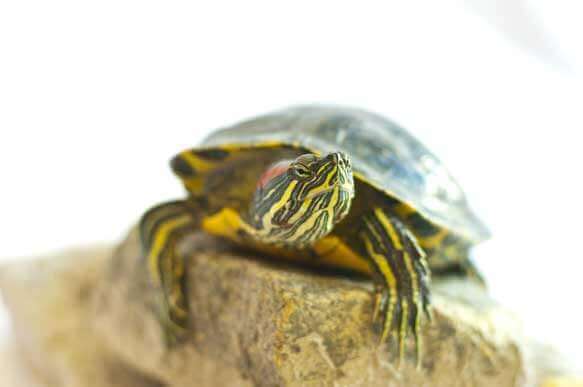 Even the most general red ear slider care sheet will likely mention the importance of maintaining the correct temperature – both ambient and basking – for your turtle tank. This is twice as important for baby turtles, which have a stricter, narrower temperature tolerance range than adult turtles. 78 to 85 degrees Fahrenheit for the water temperature. 90 to 95 degrees Fahrenheit for the basking spot. 75 to 85 degrees Fahrenheit for the ambient air temperature. Any fluctuations outside these ranges will place greater stress on your baby turtle’s still-developing immune system, with a consequence of increased vulnerability to common red eared slider health issues. 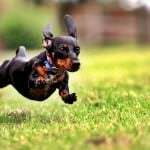 In addition to your critical initial “well turtle” vet checkup, you will want to be sure your baby turtle goes for regular health checkups with a qualified exotic veterinary specialist. 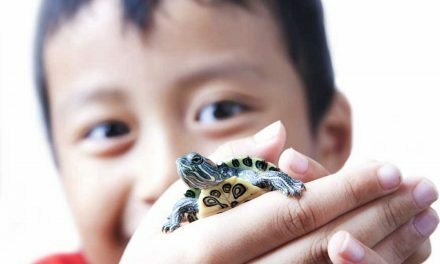 A veterinary specialist trained to treat exotic pets like aquatic turtles will be able to supplement any baby red eared slider care sheet you have already received, help you begin to build a health record and history for your baby turtle and give you specific recommendations about diet, supplements, turtle tank setup and much more. 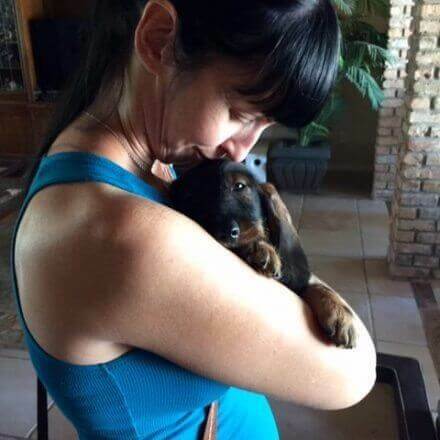 It is absolutely imperative that you form a relationship with a qualified exotic veterinary specialist right from your turtle’s first day home with you – the importance of this cannot be overstated. You are definitely tackling a big challenge in learning how to care for a red eared slider turtle hatchling. But as you take things day by day, working with your exotic veterinarian to closely monitor your new pet’s health and wellbeing, you will find you can no longer imagine life without a red eared slider baby in your life. 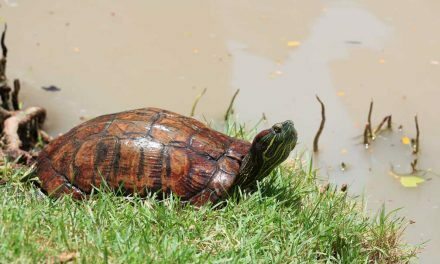 It is a rare privilege to learn more about these beautiful, exotic reptiles, and never more so than when your red eared slider baby is relying on you for everything it needs to grow up healthy and strong. 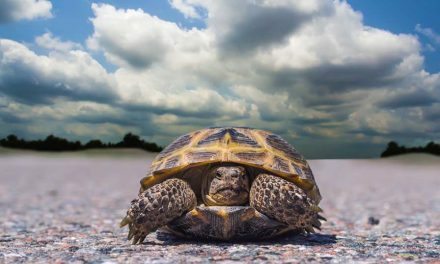 The journey you are embarking on with your young turtle is so exciting and rewarding, which makes any challenges you must tackle together along the way more than worth it!